When most think of the National Basketball League, they think of superstars and teams. Superstars like Derrick Rose, Dwight Howard, Kobe Bryant, Kevin Durant, and LeBron James as well as organisations such as the Bulls, Lakers, Celtics, and Knicks. However, most of the success that players and teams experience is due to superior coaching. Today, the NBA comprises of several coaches that are considered the best in the world. With that in mind, let’s take a look at some of the greatest coaches that are currently in the NBA. When you think about the best coaches in the history of the league, names like Pat Riley, Red Auerbach, and Phil Jackson come to mind. However, Popovich should be among this phenomenal group of coaches. Since 1997, there hasn’t been a team within North America with a higher winning percentage. Popovich is also tied for third place with Larry Brown for all time playoff wins. He has been the coach for the San Antonio Spurs since 1996 and was voted coach of the year in 2003. Doc Rivers has been the head coach for the Boston Celtics since 2004. Similar to Rick Carlisle and Tom Thibodeau, Doc Rivers managed to win the Coach of the Year award during his first year with the Boston Celtics. Just like the other two coaches, he is also renowned for having solid defensive teams. Rivers has also been able to mix loads of dynamic personalities within his cohesive unit. Although the Boston Celtics aren’t as dominant as they were a few years back when it comes to defence, he consistently produces winning teams. Like Doc Rivers, Rick Carlisle managed to win the Coach of the Year award during his first year with the Detroit Pistons. Due to his team management issues a year later, he was fired. In 2004, he managed to lead the Indiana Pacers to the best record in the league and established the best defensive team in the process. In 2008, Carlisle joined the Dallas Mavericks as the head coach and took the team to their first championship in 2011. He can make the team win yet another championship in the next two years if his team can stay healthy and intact. To be the best, you have to train the best. This is precisely where Brown had a significant advantage when compared to other coaches as he had the opportunity to work for the Spurs as an assistant coach while getting mentored by none other than Gregg Popovich. After he was an Indiana Pacers assistant coach, Mike Brown became the Cleveland Cavaliers head coach in 2005. Although the Cavaliers fell short of the 2007 NBA finals, he still proved to be the best coach when it comes to defence in the league. 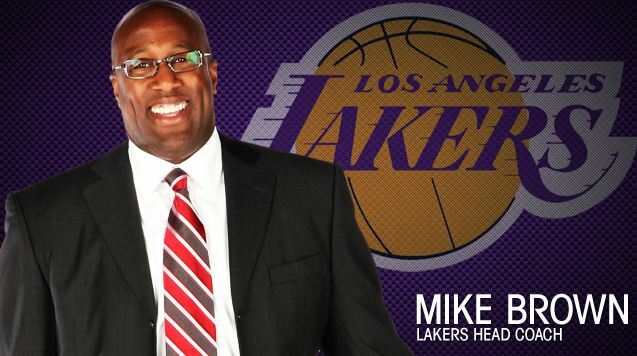 He is currently the head coach for the Los Angeles Lakers who are dominating the league due to his coaching skills and abilities.